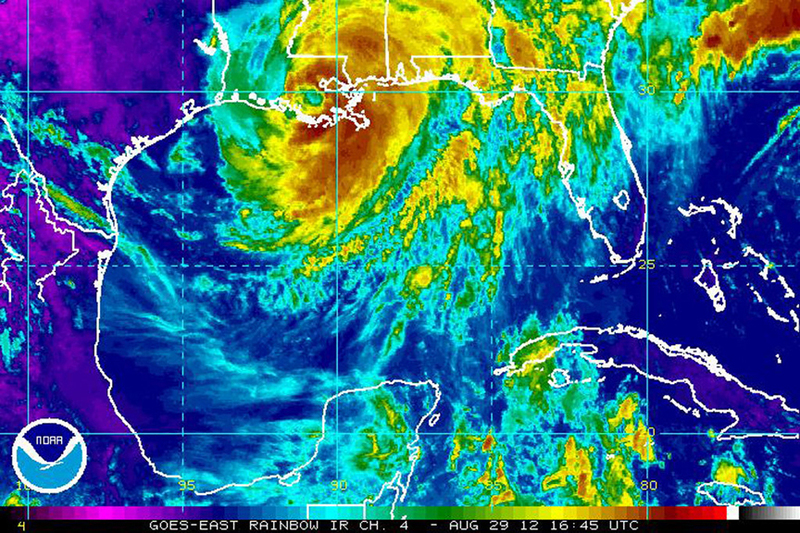 Hurricane Isaac, the ninth named storm of this Atlantic Hurricane Season, made landfall in Louisiana late Wednesday. Despite its humble category–one status, this storm severely battered the Gulf Coast for several days. Measuring nearly 250 miles in size, Isaac was a massive storm. It produced strong winds and high storm surge that caused power outages and significant property damage throughout the region. Moving slowly – at approximately 5 mph – Isaac also brought unrelenting heavy rain, which lead to widespread flooding. According to the NWS, rainfall totals for this storm, so far, range from 10 to 20 inches across the area. The communities of Plaquemines Parish, LA and Slidell, LA were particularly hard hit by rising water. In Mississippi and Alabama, several hurricane-induced tornadoes have also been reported. Downgraded to a tropical depression, the remnants of Isaac are now moving inland. Forecasts predict this enormous system will bring drenching rainfall to the drought stricken regions of the mid-west and southern plains. Unfortunately, however, this storm could bring too much rain too quickly to the parched land and possibly cause flash flooding in some areas. 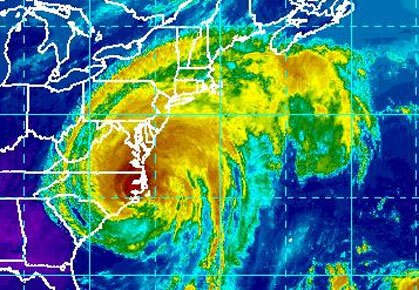 Similar to last year’s Hurricane Irene, Hurricane Isaac demonstrates that even low-category hurricanes can pack a serious punch. 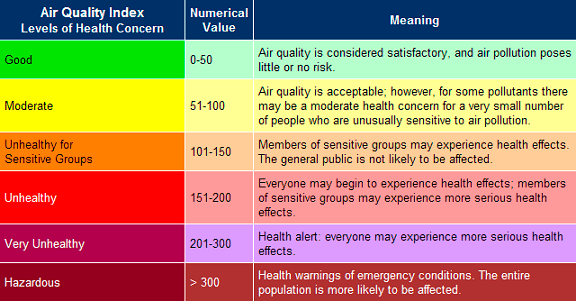 Extreme weather events, like heat waves and drought, seem to becoming more and more prevalent around the globe. When they occur, we often hear officials say that individual weather events cannot be linked to climate change or that global warming may have played a role, but they cannot be certain. New research, however, may change these somewhat standard responses. James Hansen, a climatologist with NASA’s Goddard Institute, released a new study last week, which concludes that the only explanation for the increase in extreme weather is climate change. While this new statistical analysis of global temperatures has its critics, his recent op-ed piece in the Washington Post , “Climate Change is Here – and Worse than We Thought”, is well worth reading. The Hottest Month Ever in the U.S.
High temperatures are not uncommon for July in the U.S., but this year they were extreme. 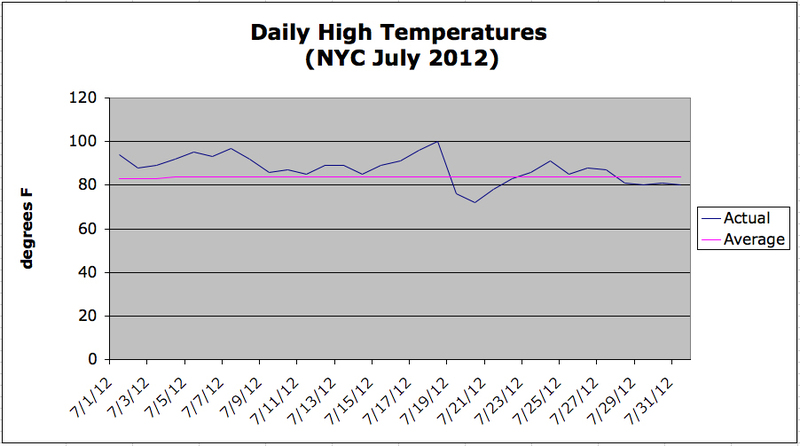 July 2012 now marks the hottest month ever recorded in the lower forty-eight states. According to NOAA’s monthly climate report, the country averaged 77.6°F this July. That is 3.3°F above the 20th century average and breaks the previous record set during the Dust Bowl in July 1936. Most of the heat last month was centered in the mid-west and central plains, where it fueled the region’s devastating drought. By the end of the month, more than 60% of the U.S. was in a state of moderate drought or worse. These hot and dry conditions were ideal for wildfires, which scorched more than two million acres nationwide in July alone. On the whole, this year has been exceptionally warm across the contiguous United States. In fact, the period of January through July 2012 now stands as the warmest seven months this country has seen since modern record keeping began in 1895.